The following is a 100% authentic, 100% real review. Dadtography.com was not provided complimentary product nor monetary compensation in any way for this review. February 2016 Update - The Nickelodeon Hotel & Resort is undergoing a re-brand and remodel and will no longer be known as the Nickelodeon All-Suite Resort. As of April 18, 2016, the hotel will be known as the Holiday Inn Resort Orlando Suites – Waterpark. The hotel will receive a $20M remodel in conjunction with the re-brand. The new Holiday Inn will be a beach themed all-suite hotel. We hope to visit the remodeled hotel again soon and provide an updated review. One of the advantages of living in Florida is that we have the uncanny ability to visit all of the awesome theme parks and resorts that many families have to plan for years - or even a lifetime - to visit just once. We decided to do a staycation this spring break and check out the Nickelodeon Hotel in Orlando, Florida. This is a review of my thoughts on our stay at the resort hotel. The Nick Hotel is located in the heart of all the Orlando action. The hotel is less than two miles from the gates of Walt Disney World. Other areas of interest such as Downtown Disney (Disney Springs), Universal Studios and Citywalk and International Drive are just a few minutes drive away as well. 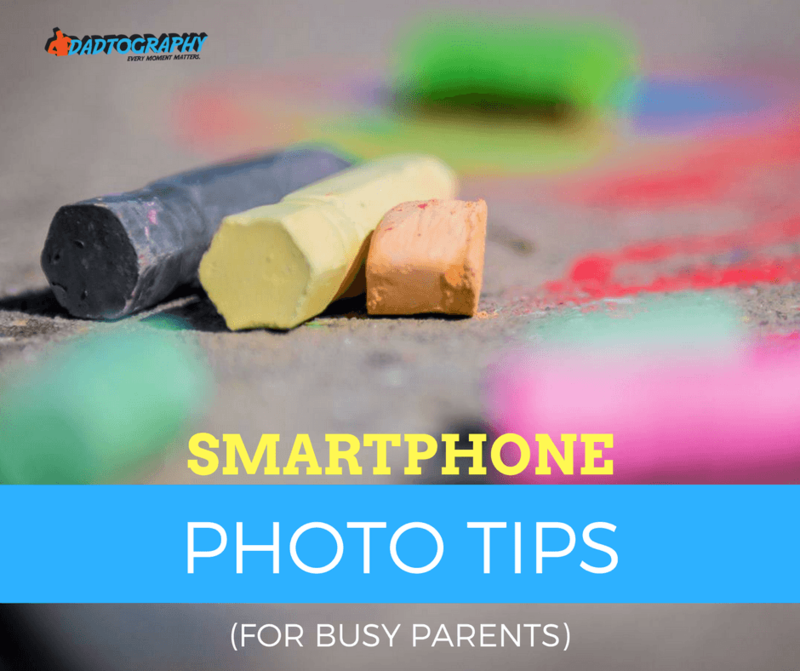 The majority of the photos you see on Dadtography.com were edited exclusively using Aurora HDR or Luminar. We made our reservations online using their online booking system. The entire process was very simple and their website had all of the details of the hotel, the pool & water park areas and the rooms. Naturally, spring break in Florida is one of the busiest times of the year, so I expected the hotel to be at or near capacity. The check-in process was a bit clunky but not terrible, considering the number of people that were checking in at once. The hotel actually had additional temporary workers and check-in personnel on-hand to expedite the line that was forming. It may not have been the most efficient check-in process I've seen in a hotel, but at least by them having the desk at more than full staff it certainly showed they were doing everything they could to help guests check in quickly. The facility is an all-suite hotel, meaning that all of the rooms actually come with multiple bedrooms. You can get either a two-bedroom or three-bedroom suite where the kids' rooms have bunk beds and the adult's room comes with a larger (either queen or king size) bed. The suites come in different Nick themes - from Dora the Explorer to Sponge Bob Square Pants. The rooms are decorated and appointed in a very kid-friendly manner with the characters painted as a mural on the bedroom walls and scattered throughout the suite. Just walking into the room is sure to have a "wow" factor for anyone under about 12 years old, and maybe even those a little older as well! The water park portion of the Nickelodeon Resort is, hands down, THE reason why you'd want to stay at this hotel. The hotel itself is "okay". It's certainly not a luxury hotel, so don't go in expecting that or you'd be disappointed. There are two pool & park areas in the resort that correspond to the main courtyard areas - one in the front, known as the Lagoon and one in the back, known as the Oasis. The Lagoon pool area is the larger of the two and is meant to be where all the action is. This is where they conduct their shows throughout the day, where audience participation is central to the show. The Lagoon pool area is also where they conduct the group sliming twice a day - 10:30 am and 4:30 pm were the times when we stayed. The Oasis pool and slide area is inside the rear courtyard area and is a more laid-back, quiet pool. The pool isn't as large and there aren't as many slides. They don't host shows in the Oasis pool area - it's meant to be more of a relaxed atmosphere for parents and families to take a break from their normally hectic day. Staying at the Nick Hotel is effectively like paying for a hotel stay but getting a water park for free. Overall, we found the hotel to be very affordable considering everything you received during your stay. All rooms are actually suites, which is awesome for the kids and parents alike (trust me on this one). The pools and water park areas are totally cool as well and provide at least one or two days' worth of entertainment alone. You'd be challenged to find a nice (suite) hotel and water park deal for less in the Orlando area - especially during spring break! As I mentioned, we're Florida residents, so we are afforded a few luxuries that those that live outside of the state don't get. One of those benefits is that most parks and resorts have Florida resident discounts. The best way to see what discounts are available is to check the official discount page of their hotel's site (updated to Holiday Inn). Nickelodeon Hotel offers seasonal discounts for Florida residents. The best feature the resort has going for it, by far, are the pools and water park. Kids and adults alike can play for hours without ever having to leave the resort. The hotel should definitely not be considered a 'luxury' resort, however. Don't check in assuming you're staying at a four or five star hotel or you will be disappointed. I will say the hotel is a solid three star in my opinion. I hadn't mentioned the restaurants and dining options in the review above, so I'll touch on it here. The meal facilities are all located in what's known as the Mall area, which lies in the middle of the resort between the (front) Lagoon pool and the (rear) Oasis pool areas. In addition to having a number of fast food style choices, including the requisite chicken with french fries & pizza and even a Subway, there are two breakfast buffet options - one is a character breakfast and one is a normal buffet and a sit-down restaurant as well. All meal options are very casual and dressing up isn't required (however, shoes & shirt are). There's also a bar area as you first walk into the Mall, for the adults that are interested in relaxing with a beverage as well. You simply can't beat the value of this hotel when you consider you get a nearly full-featured water park just outside your room's door. Staying at the Nick Hotel may save you money you'd otherwise spend because you won't have to leave the hotel! It's difficult to say what I would take points away from the hotel. The resort was built in the mid-2000's, so some areas are beginning to fade just a bit from the Florida sun, but those are just cosmetic issues at the most. I found the hotel to be in great shape, overall, my sons (ages 9 and 2) had a blast and JenB and I were able to both relax when we wanted to and chase the boys around and have fun as well. It's a win-win for parents and kids! 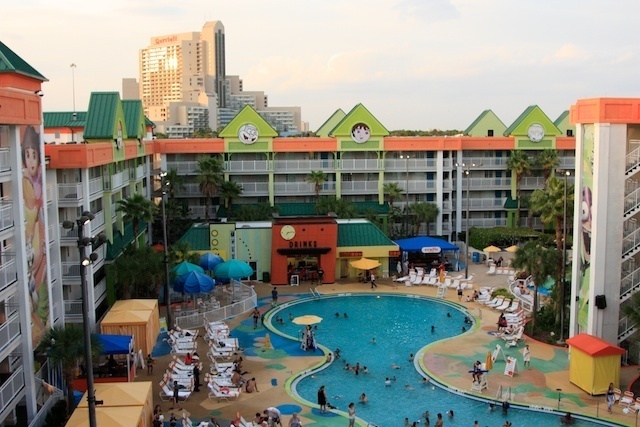 Have you stayed at either the Nickelodeon Resort Hotel or the Holiday Inn Resort Orlando Suites - Waterpark? We'd love to hear your thoughts in the comments below! Water park - inside the hotel!